Steel pricing has leveled off FINALLY! 3/16″ Wrap and 5/16″ thick 40″ x 40″ reinforced sides for lighter weight with more strength. Adjustable wear shoes and reversable cutting edge. Solid steel power frame construction with no tubing to rust through. Universal lip mount with 2 chain binders included for connecting to your bucket. 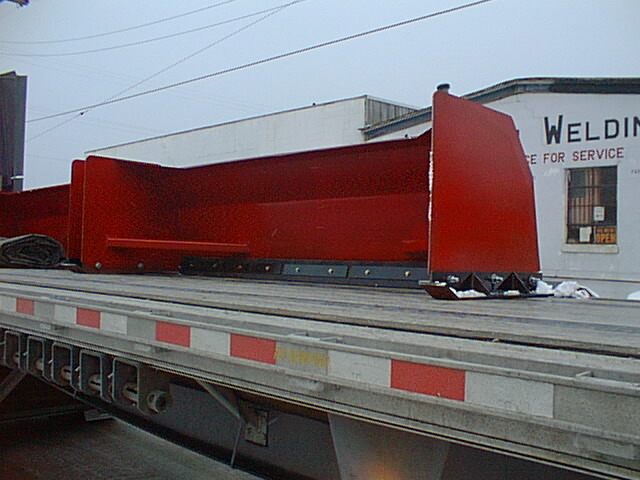 Our buckets come standard with reversable steel cutting edges. Rubber cutting edges are available for an additional cost of $26/ft. Standard colors are Red, Black, or Yellow. Custom colors are available. WARNING: Steel edges do not trip and can be VERY DANGEROUS. If you hit something, you are going to hit it hard. Use extreme caution and inspect your plow areas for objects sticking up before the snow season. Our CUSTOMERS are requsting steel edges and we are continually looking for ways to make our products safer and stronger. For Large size snow boxes please call us for pricing. Freight is through the roof. If we can put multiple loads together we split the costs between customers.